Save the date to join us on August 20, from 8:30-11:00am at the Wine Country Hilton on Round Barn for a special session with Congressman Jared Huffman addressing water issues specific to the North Bay and pending legislation. More details will be forthcoming. A Q&A with growers is expected. Registration check-in begins at 8:00am. Topics addressed by the Congressman include : HR 4923 on drought relief funds; the Forecast Act to update operations at Lake Mendocino to optimize water storage over flood control; AB 964 on fast-tracking approvals for small pond storage; and the Plant Act to prioritize prosecutions of trespass by marijuana growers on private property. 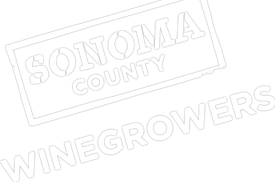 Also on the agenda will be a Sonoma County pre-harvest bulk wine and grape market update by Brian Clements of Turrentine Brokerage and a grower Q&A session with County Ag Commissioner Tony Linegar. Suggested topics for Ag Commissioner questions include : riparian corridor update, frost ordinance administration, drought crop loss surveys, Ag Waiver status/progress, endangered species, biological survey requirements, and VESCO. There is no charge to attend. For more information contact Karen at: [email protected] or 522-2862.